Land use change is characterized by a high diversity of change trajectories depending on the local conditions, regional context and external influences. Policy intervention aims to counteract the negative consequences of these changes and provide incentives for positive developments. Region typologies are a common tool to cluster regions with similar characteristics and possibly similar policy needs. 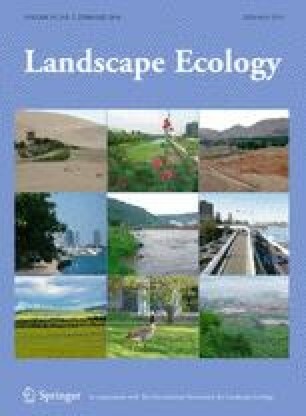 This paper provides a typology of land use change in Europe at a high spatial resolution based on a series of different scenarios of land use change for the period 2000–2030. A series of simulation models ranging from the global to the landscape level are used to translate scenario conditions in terms of demographic, economic and policy change into changes in European land use pattern. A typology developed based on these simulation results identifies the main trajectories of change across Europe: agricultural abandonment, agricultural expansion and urbanization. The results are combined with common typologies of landscape and rurality. The findings indicate that the typologies based on current landscape and ruralities are poor indicators of the land use dynamics simulated for the regions. It is advocated that typologies based on (simulated) future dynamics of land change are more appropriate to identify regions with potentially similar policy needs. This work has been done in the context of the FARO FP6 project funded by the European Commission, the RUFUS FP7 project of the European Commission and the EURURALIS3.0 project funded by the Dutch ministry of Agriculture, Nature and Food Quality. All contributors to these projects are thanked. The participants of the Workshop ‘Typologies for dynamics in rural regions’ in Amsterdam September 10th 2008 are thanked for their inspiring contributions.